I am Bertrand of Provence. Properly, I am William Bertrand, count and marquis of Provence. Historians are not sure if my name was William or Bertrand, so they left me with me both. 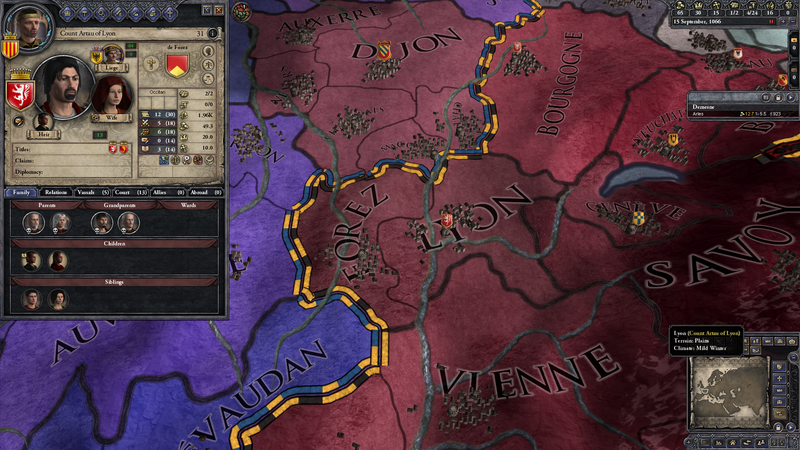 If it was the former, I am the fifth of my name to rule Lower Burgundy, and if it was the latter, I am the first or the second, depending on whether you count my father Fulk Bertrand as a Bertrand or a Fulk. I am of the line of Boso, a nobleman of Lorraine who was appointed count of Lyon and Vienne after his sister married Charles the Bald, king of West Francia. After several years of loyal service, he was elevated to the rank of duke and given Provence, where I now live. He disapproved of Charles’ invasions of Italy, not least because he was married to the only daughter of Emperor Louis II of Italy, and led a series of rebellions, which eventually put him in control of Charles’ son Louis the Stammerer once Charles died. When Louis also died, after only two years of rule, Boso rejected the joint succession of Louis’ two sons and declared himself independent. 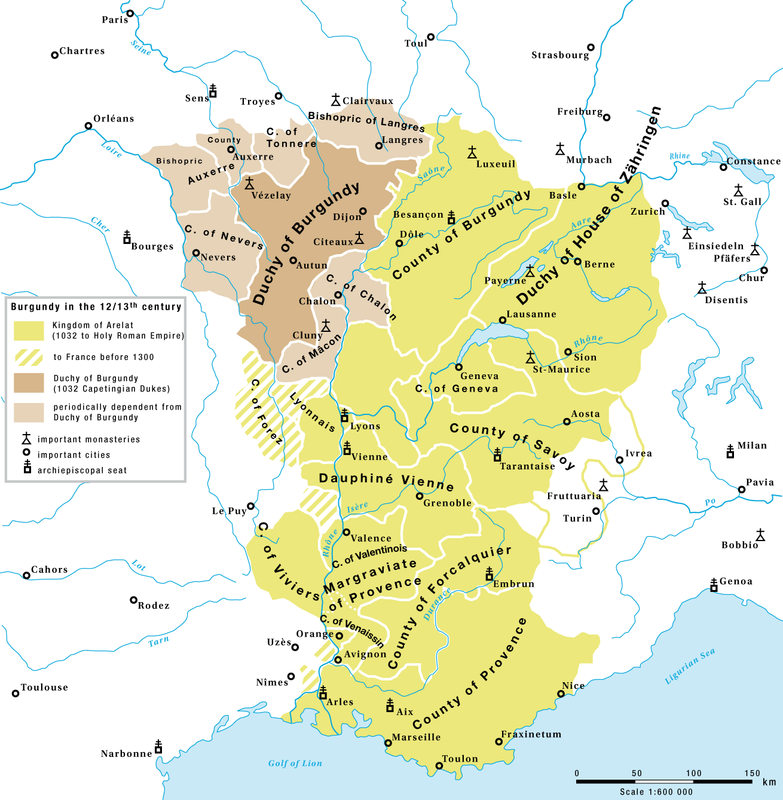 By this point, his lands included almost the entire de jure kingdom of Burgundy, in addition to much of the French duchy of Burgundy, but most of that was taken away a year later, when the two sons buried the hatchet with their cousin Charles the Fat, king of Italy and soon to be the last Carolingian emperor. They quickly conquered the duchy of Burgundy, which was never again to be part of the kingdom of Burgundy even in fantasy, and most of Vienne. The rest of the latter was lost to a rebellious relative, Richard of Autun, and Boso died soon after. He was hated for his presumption, as the first man to presume to be king in Christendom without a drop of Charlemagne’s blood, and his Carolingian enemies had several deliberately inept forgeries of his charters produced to make him look stupid. 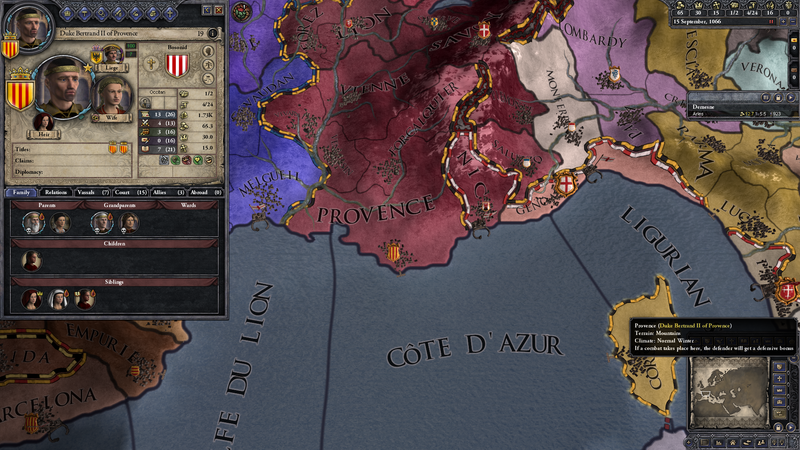 The kingdom of Lower Burgundy — now more properly called the duchy, marquisate, and county of Provence — has survived, but it is a debased existence. 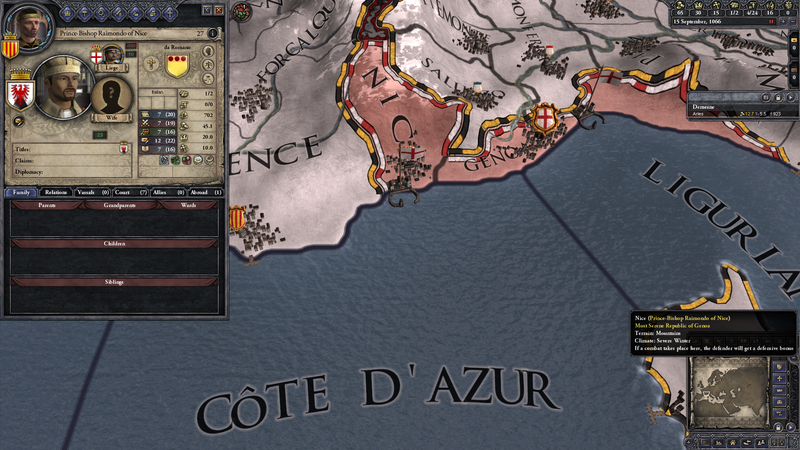 I rule from Arles, and in theory my rule extends from the Côte d’Azur to the city of Vienne, but in fact I only control a single county directly — sometimes not even that, if the barons of Grimaud get uppity. My cousin Jaufret, son of my father’s brother, rules the hills of Forcalquier in my name. He is much more experienced than me, so I have appointed him marshal, even though he seems to talk a lot about battles that no one else in the court recalls. The counties of Venaissin and Vienne are run by locals, only nominally under my rule. At least they are obligated each to send me a hundred troops whenever I call; the bishop of Vivrais doesn’t even owe me that! I hate to say it, because I am the blood of kings, but I am a duke in name only. But I have dreams. The Bosonids will not slowly die out over the two centuries, to be inherited by some Spaniard. I will reclaim our rightful rule over the bishopric of Nice from the upstart money-grubbers in Genoa! Wouldn’t it be nice to rule Nice. I will regain our lost lands and reunite the duchy of Provence with the duchy of Dauphiné! I will… probably have to find at least one more territory to pick up somewhere because that’s not enough to create the title for the kingdom of Burgundy. But I will! I will take that royal title from the Salian emperors of Germany to whom I now bow and scrape. It suits me to serve the emperor, who is the true ruler over all Christendom, but I will serve him as king!